The City of Ottawa has changed plans for its route 12 bus following rider backlash. 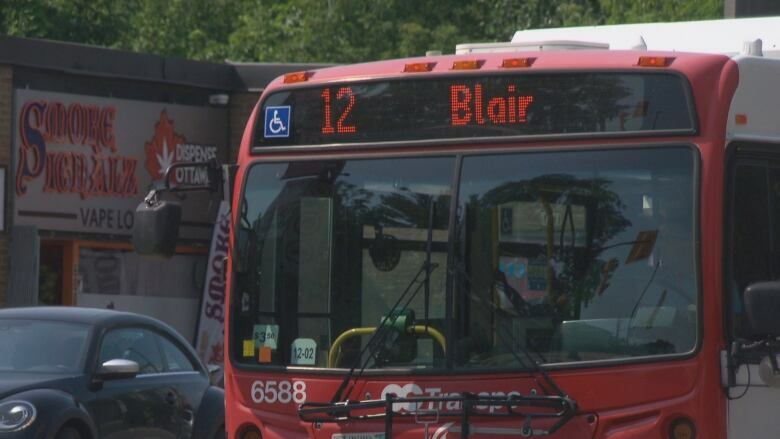 The City of Ottawa has changed plans for bus route 12 following rider backlash. ​The OC Transpo bus normally runs from Blair station to Montreal Road and Rideau Street, then along Wellington Street and up Bank Street to Slater Street. As part of the new fall schedule, the route was no longer going to go through the downtown core. The city had said the measure would ease congestion downtown by cutting back the number of buses there. Instead, route 12 would have stopped at Confederation Square, where the National War Memorial is located, and users would have had to walk or get off at the Rideau Centre to take light rail. Residents in Vanier who took the bus downtown criticized the planned change, saying it would add time to their commute. On Friday morning, Rideau-Vanier Coun. Mathieu Fleury tweeted that the route will now go to the intersection of Queen and Metcalfe streets. Fleury said it takes the bus further downtown while still avoiding the most congested downtown intersections.